Database/DBMS Interview Questions And Answers - Part XIII. 61) What Are The Steps Of Normalization? 62) What Is First (1st) Normal Form (1NF)? Answer: First normal form (1NF or Minimal Form) is a normal form used in database normalization. A relation R in which the intersection of each row and column contains one and only one value is said to be in 1NF. One has to make sure that the relation should have no non-atomic values. The purpose of first normal form (1NF) is to eliminate repeating groups of attributes in an entity which means disallow composite attributes, multivalued attributes, and nested relations. There are no columns with similar or repeated data. Each row is unique i.e. it has a primary key. Each data item cannot be broken down any further. Each field has a unique name. Violation of any of these conditions would mean that the table is not strictly relational, and therefore that it is not in 1NF. The final table is 1NF version of the same relation with redundancy. 63) What Is Second (2nd) Normal Form (2NF)? 64) What Is Third (3rd) Normal Form (3NF)? 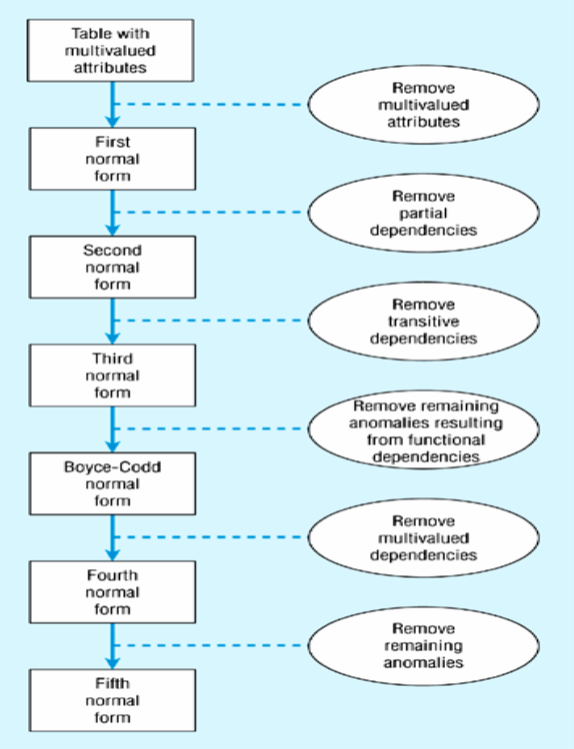 65) What Is Boyce-Codd Normal Form (BCNF)? Also Define Multivalued Dependency? 66) What is Fourth (4th) Normal Form (4NF)? 67) What is Fifth (5th) Normal Form (5NF)? 68) What Are The Lossless Inference Rules For Functional Dependencies (FD's) Or State The Armstrong's Axioms? 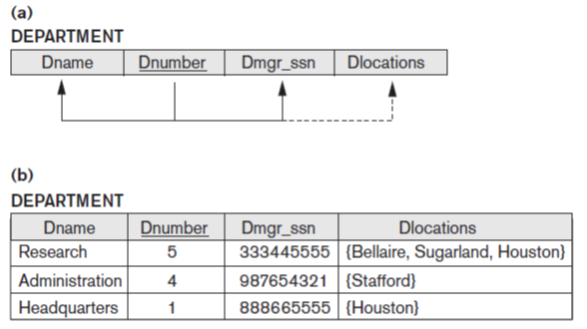 69) What Is Domain-Key Normal Form (DKNF)? 70) Define Transaction? Explain Different States Of Transaction? ... Return To DBMS FAQ's Main Page. ... Return To HR Interview Questions With Answers Main Page.